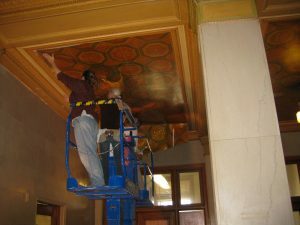 The San Bernadino Courthouse was seismically retrofitted and restored in 2010. 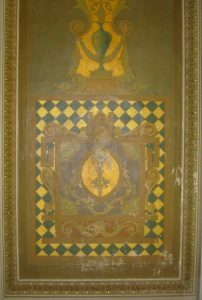 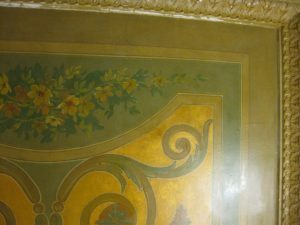 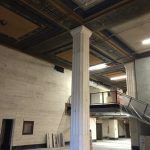 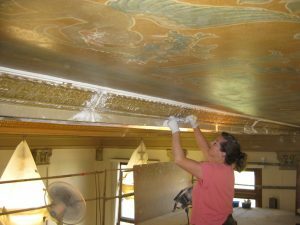 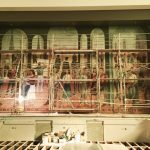 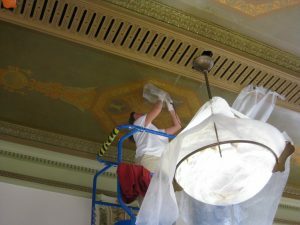 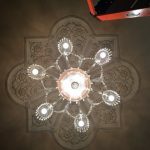 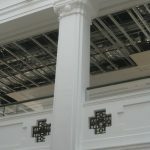 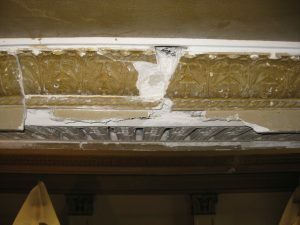 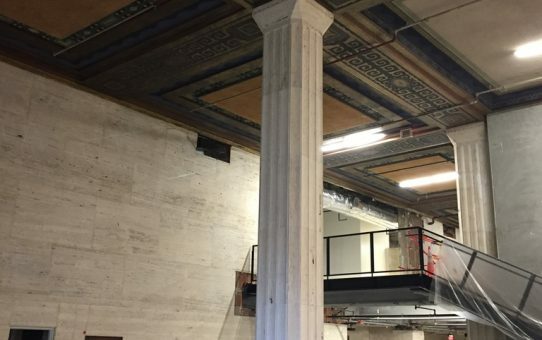 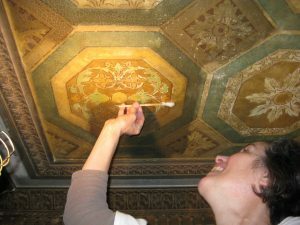 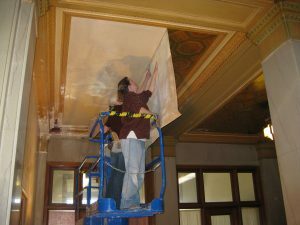 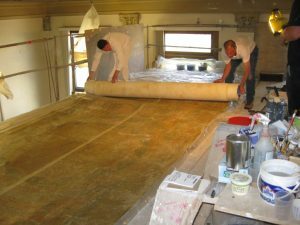 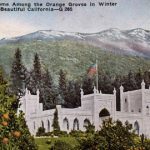 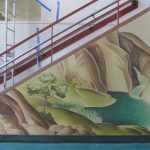 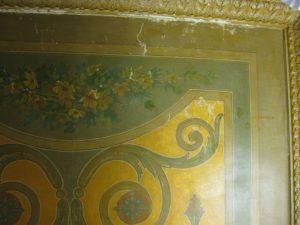 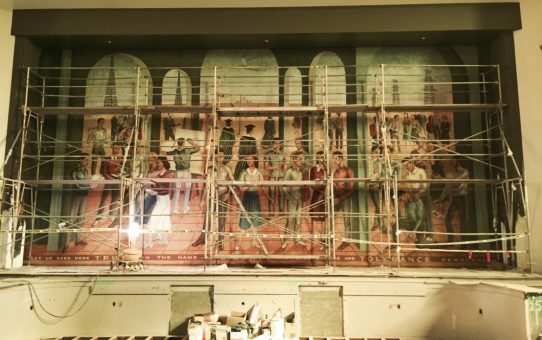 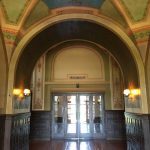 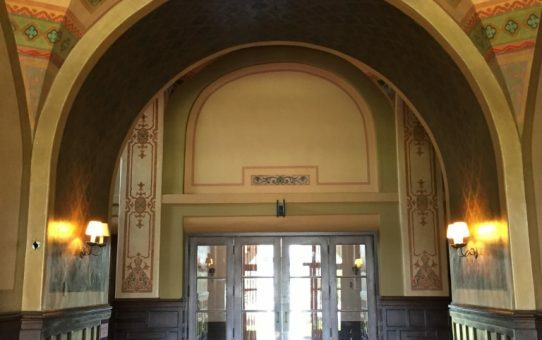 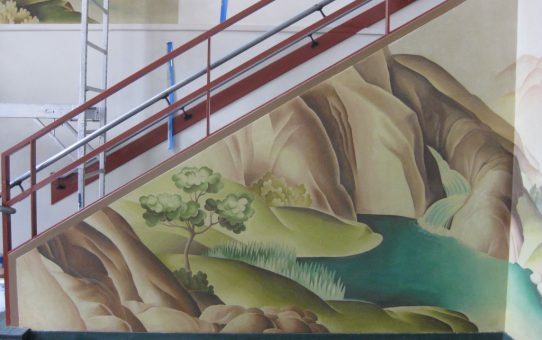 With KC Restoration, under the direction of Carolyn Lehne, she developed and detailed plan on removing the canvas murals from the ceiling to be stored while the building was reinforce with shear walls. 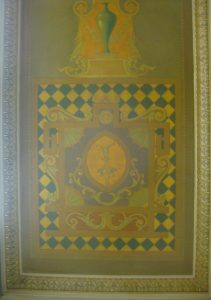 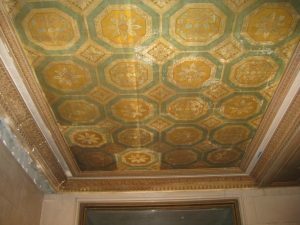 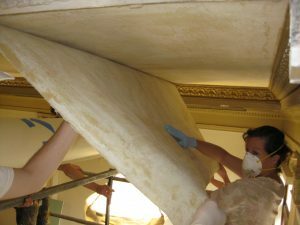 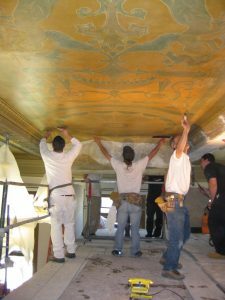 With the help of professional wallpaper hangers, the canvas was reinstalled on the ceiling and then cleaned, conserved and in-painted. 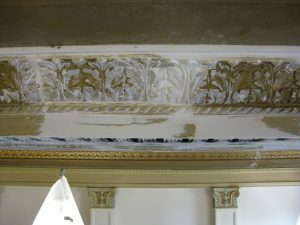 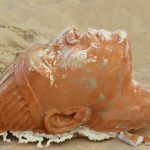 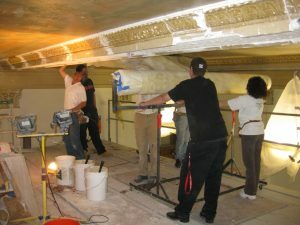 Plaster molds and repairs were also completed.